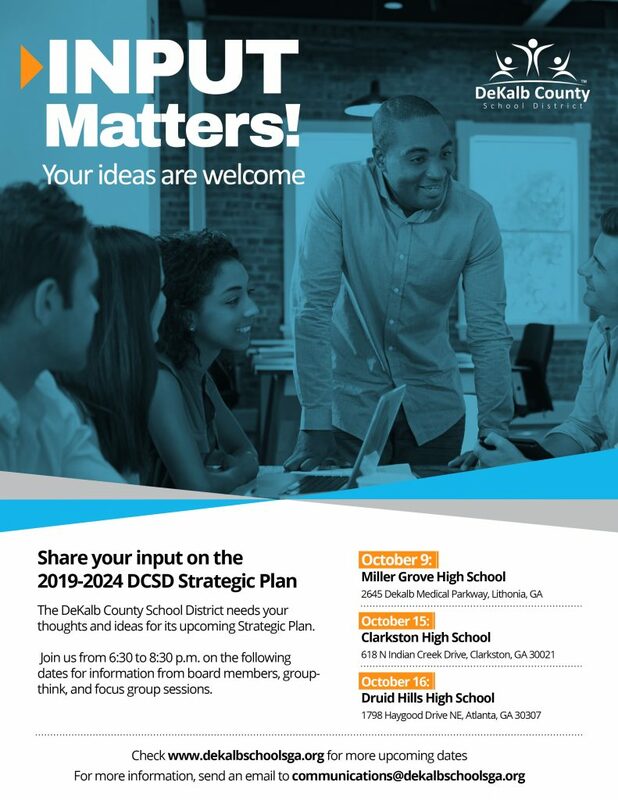 Two public input meeting for the Secondary School Facility Planning and Feasibility Study for middle schools and high schools. At these meetings staff will present recommendations for middle and high school feeder patterns, re-clustering attendance areas, additions to schools and new/replacement schools. An online feedback survey will be available at time below. 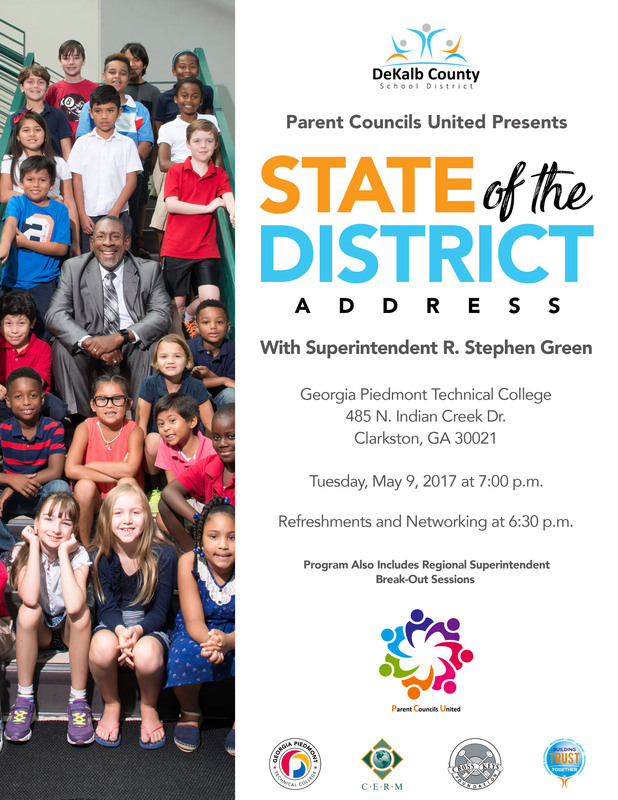 Stakeholder feedback from these meetings and online survey will be incorporated into the 2017-2022 SPLOST list (Building S.P.A.C.E.S) later this Fall. 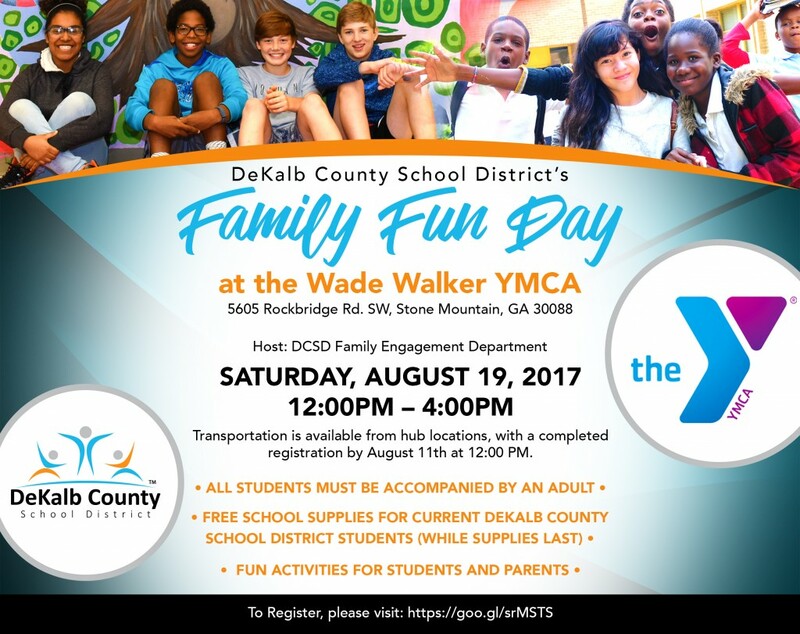 Tuesday Aug 23 at noon to Thursday September 8 at 11:59pm. 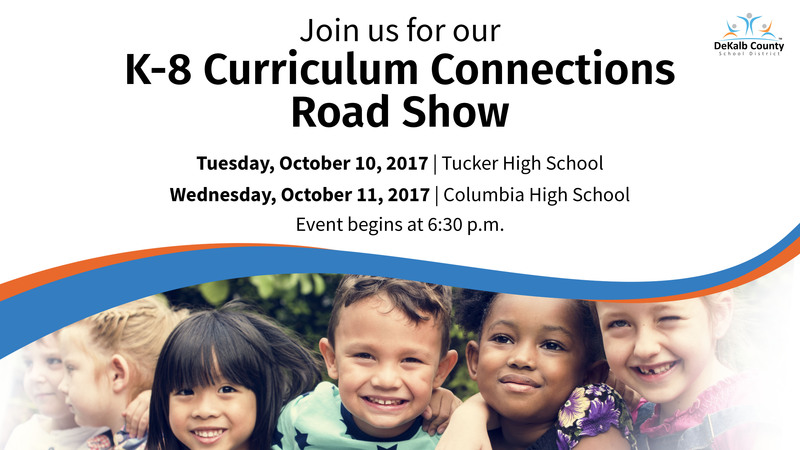 In order to allow more time for public input for the Secondary School Feasibility Study, the information and five regional community input meetings have been pushed back. 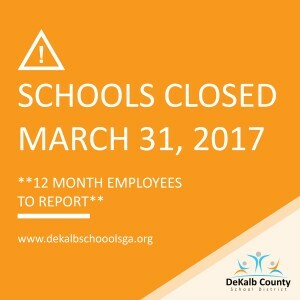 The Building S.P.A.C.E.S. 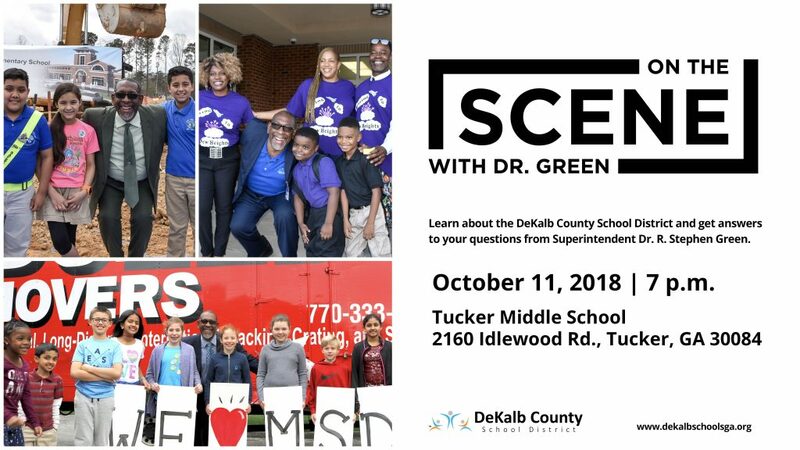 Initiative is an effort to determine how, where, and why future revenues from the E-SPLOST program should be dedicated to the improvement and modernization of our buildings and infrastructure. Voters approved the 2017-2022 E-SPLOST program on May 24th, 2016. 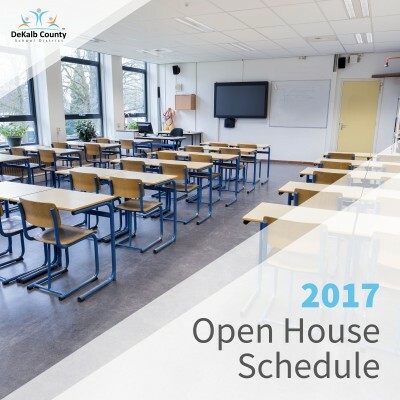 Purpose: Present the data from the Facility Condition Assessment (FCA), Facility Educational Adequacy Assessment (FEAA), Enrollment, Capacity Reports and the results from the Secondary School Facility Feasibility Study will be presented. Purpose: To present, discuss and gather input on the detailed project list of the 2017-2022 E‐SPLOST program. 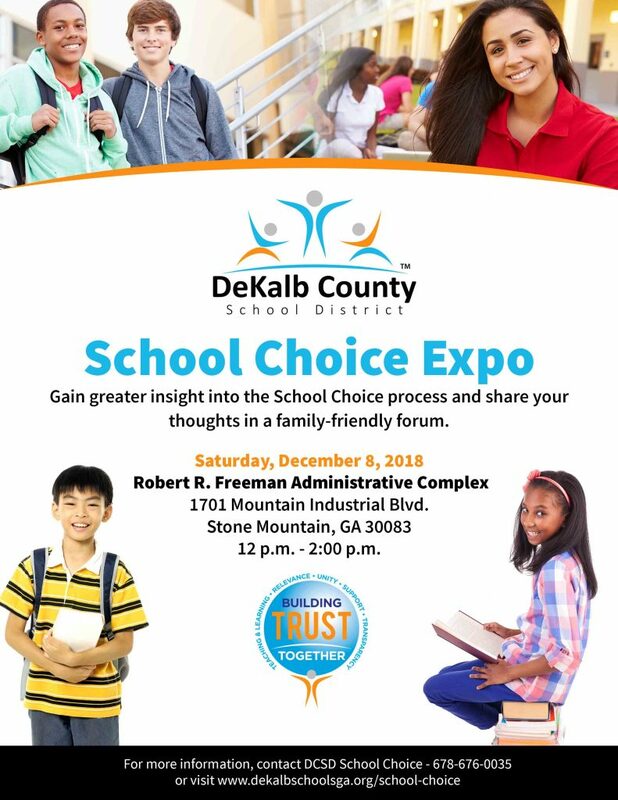 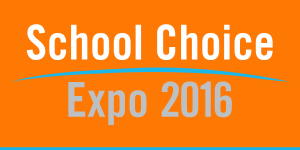 The DeKalb County School District will host two School Choice Expo events in December. Members of the district’s School Choice Office will be on hand to provide direction on how to enroll and to help families navigate the school lottery process. 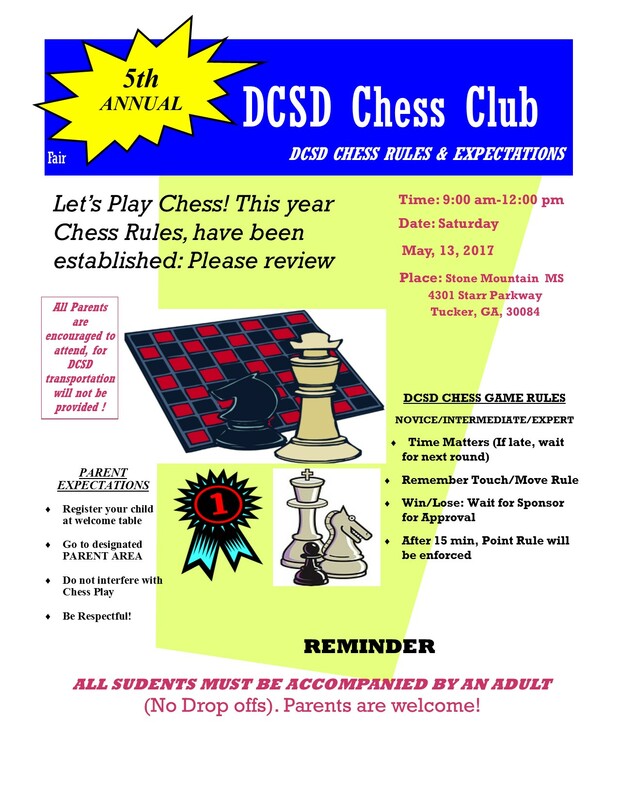 Giveaways and other fun activities are also planned. 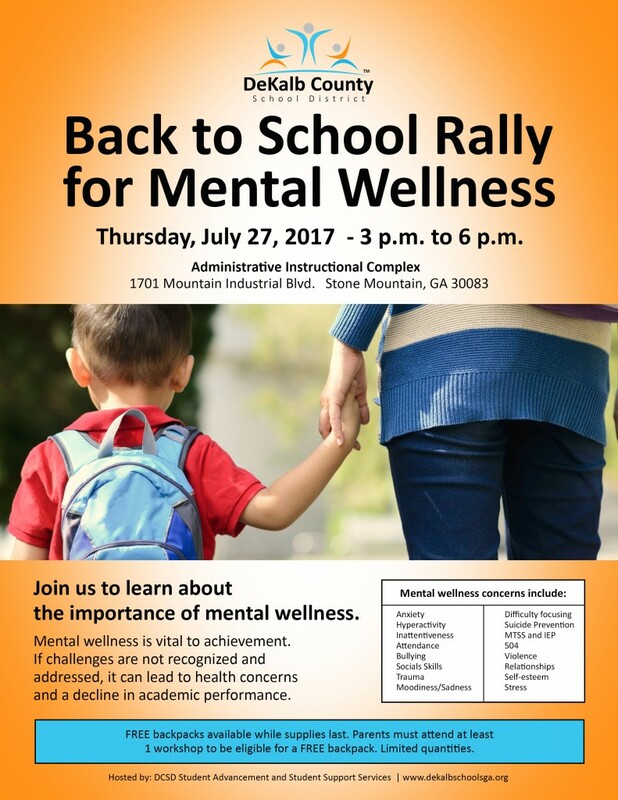 For more information, families may call 678-676-0035 between 8 a.m. and 4:30 p.m., Monday through Friday. 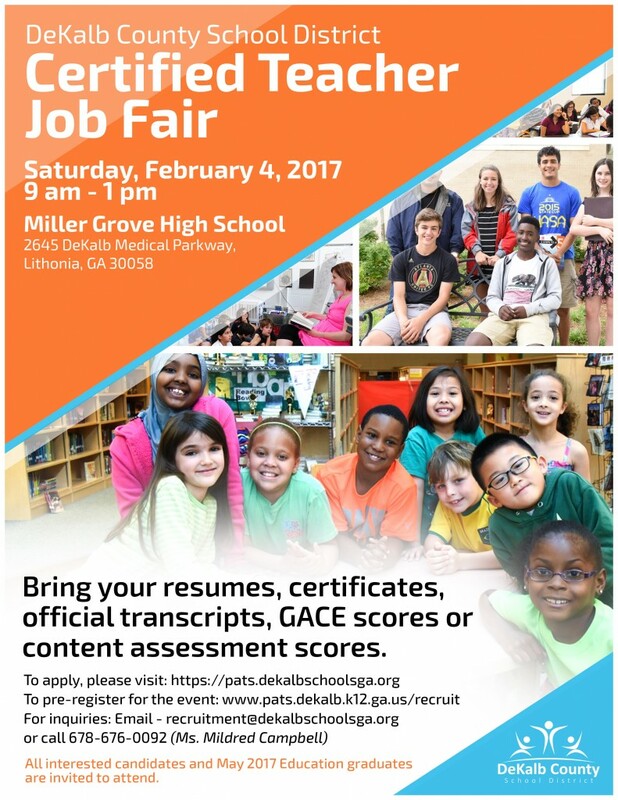 DeKalb County School District will host a Certified Teacher Job Fair on Saturday, February 4, 2017 from 9am-1pm at Miller Grove High School. Please visit www.pats.dekalb.k12.ga.us/pats/recruit to pre-register for the event. 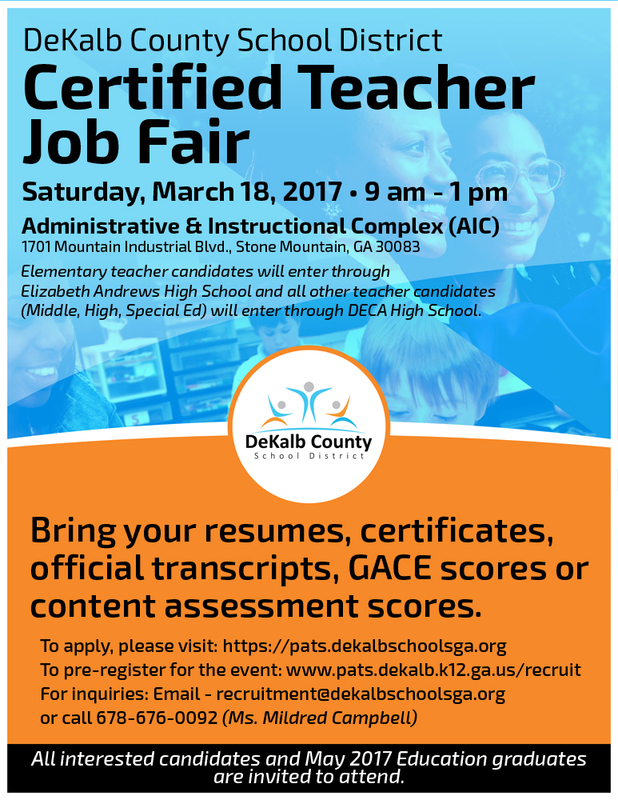 When registering, please select the “DCSD Teacher Candidates and Transfer Fair/Applicant Pool 2.4.17” event. 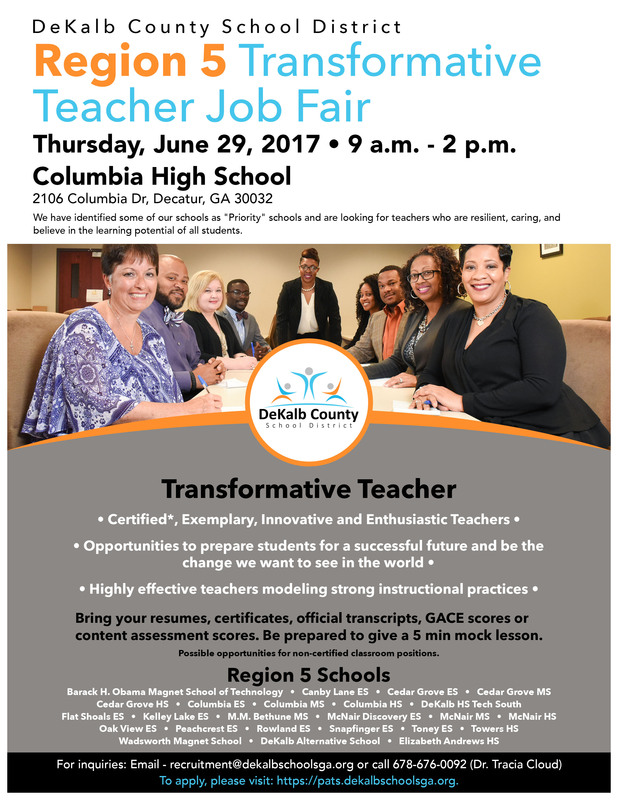 All interested candidates and May 2017 Education graduates are invited to attend. 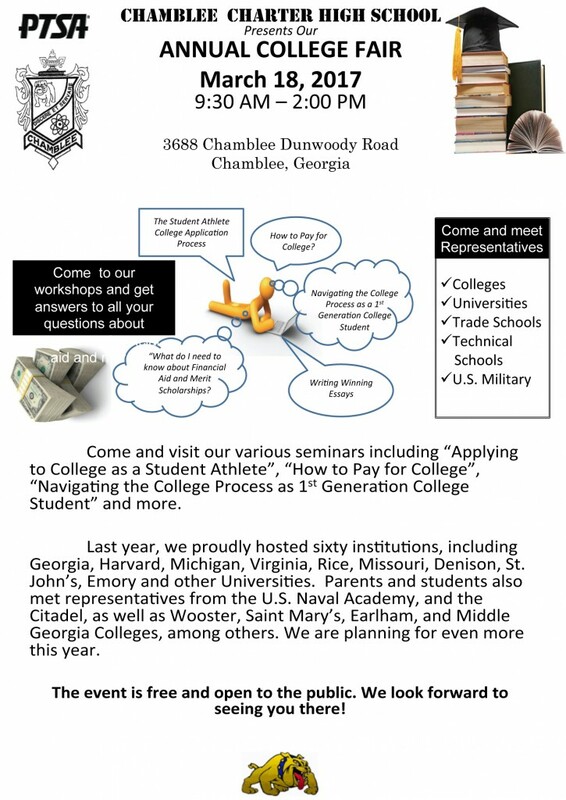 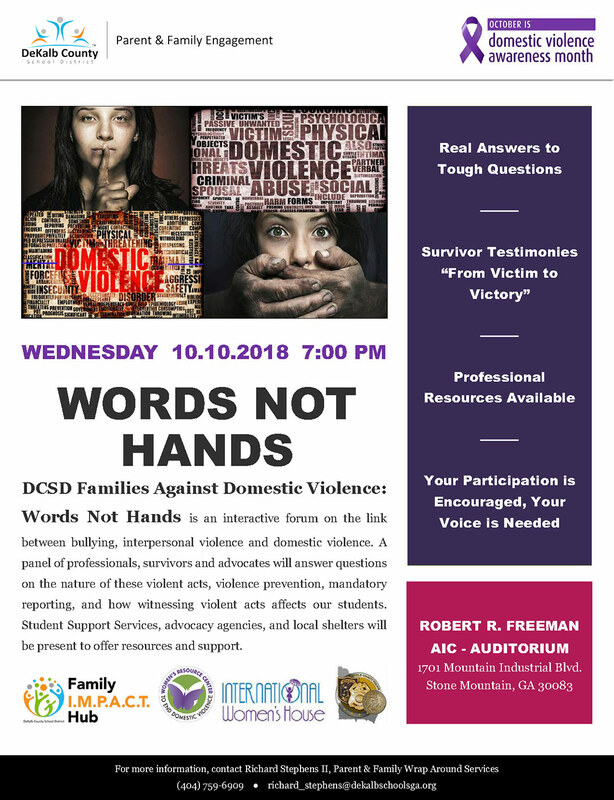 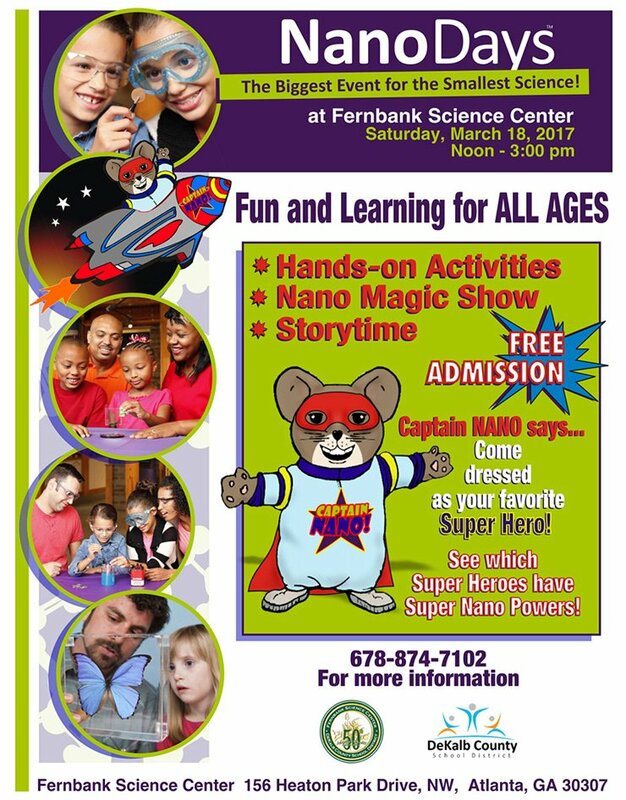 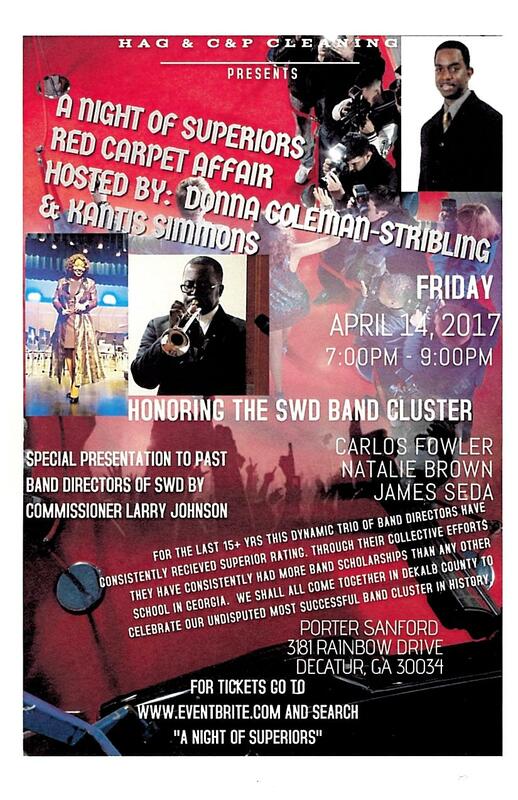 See event flyer for more details. 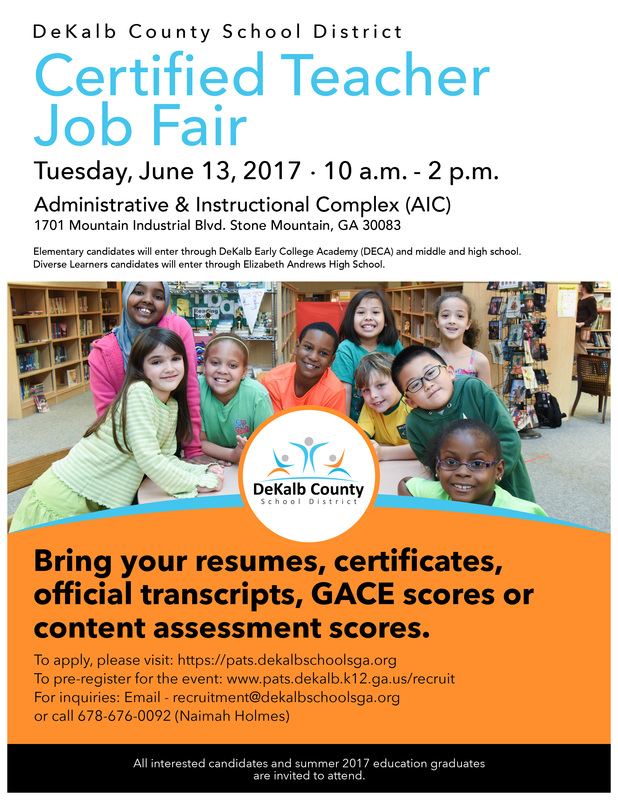 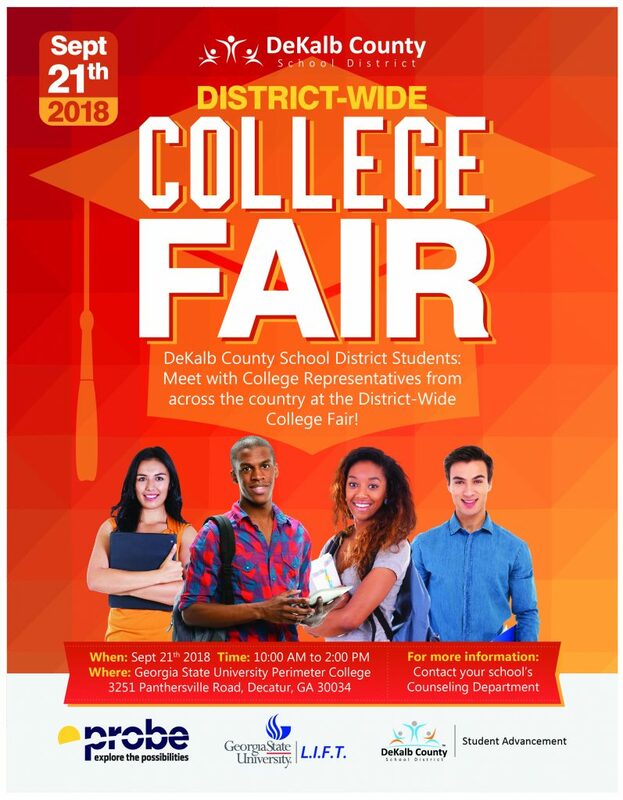 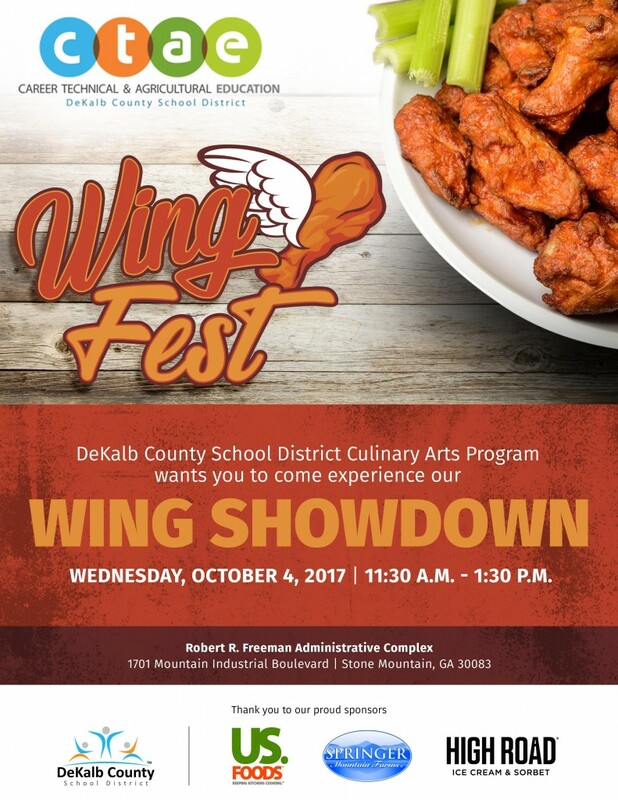 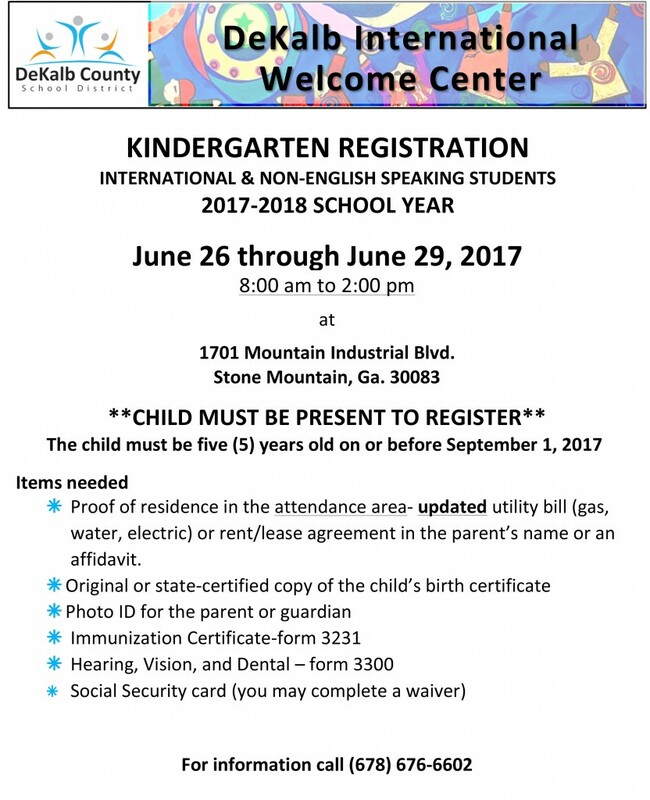 For inquires, please email Recruitment@dekalbschoolsga.org or call 678-676-0092. 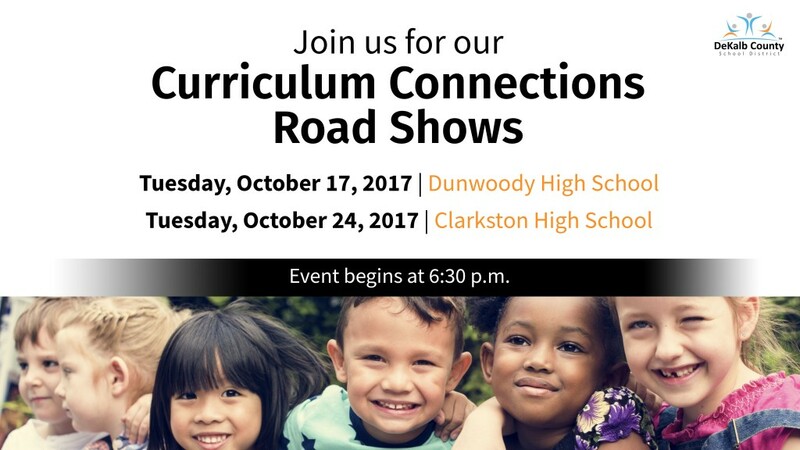 From cyberbullying to social networking, Cyber Safety Day aims to raise awareness of emerging online issues and to encourage students and staff to use the internet and social media more safely. 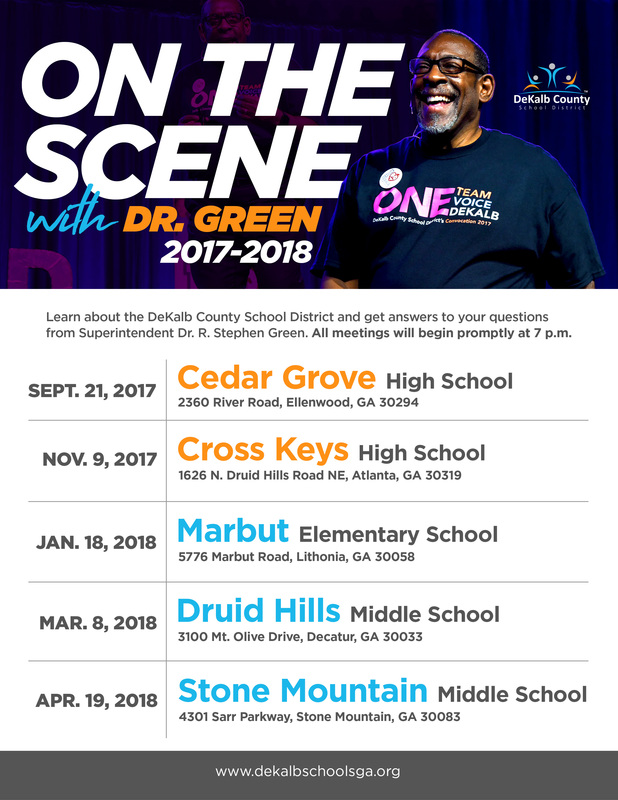 In an effort to create a culture of cyber safety awareness, there will be a district-wide Cyber Safety Day on February 7, 2017. 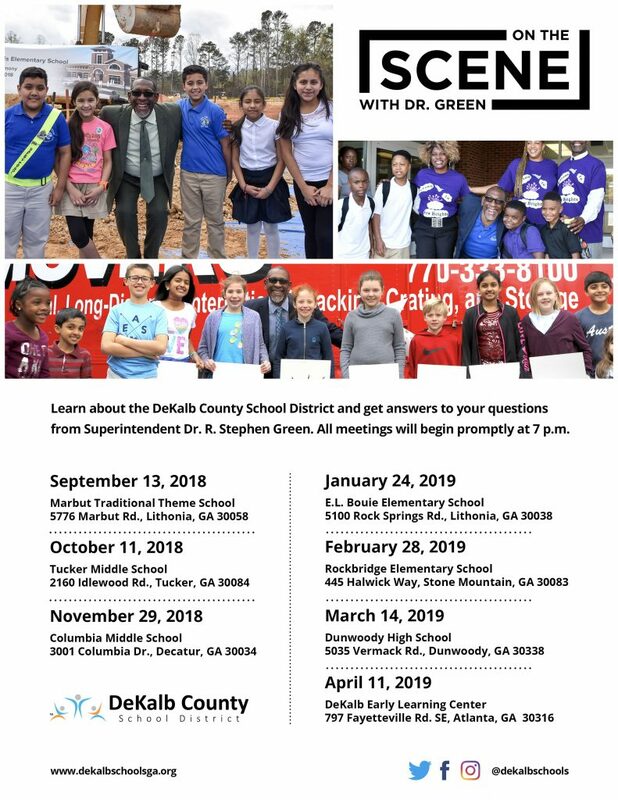 Join the DeKalb Schools Twitter Chat on Cyber Safety Day! 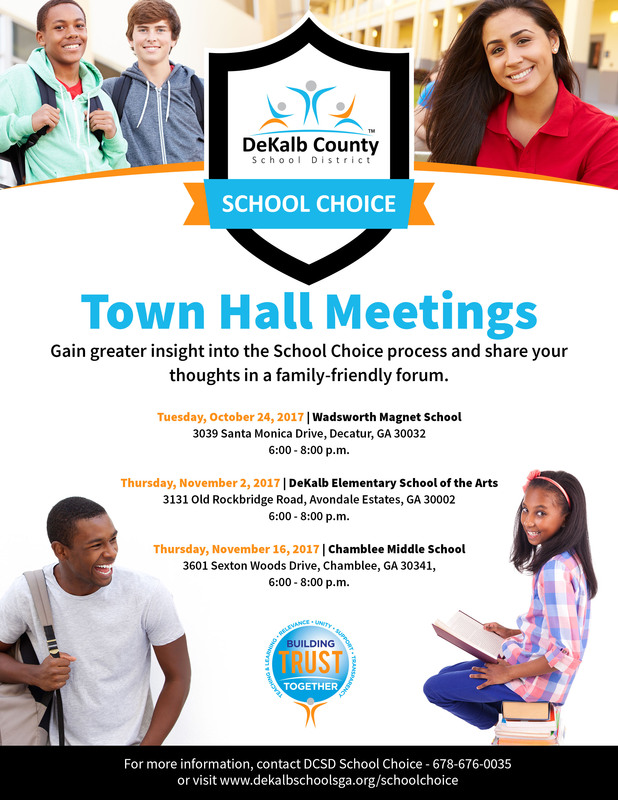 Follow us @DeKalbSchools and use the hashtag #CyberSafeDeKalb to join in on the conversation. Out of concern for the safety of our students and Atlanta-area motorists, DeKalb County School District (DCSD) will cancel all classes on Friday, March 31, 2017. 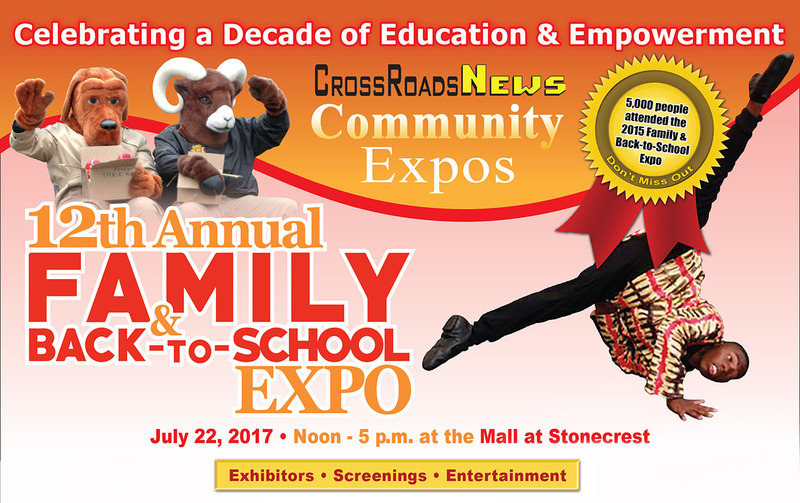 For more information about the expo, please visit the Crossroads News website.